Whether you prefer a guided experience or a more hands-off approach, Wild Man Adventures has the big game hunting trip for you. Choose your time of year, your animal, and your weapon. We’ll be here to make it happen. Deer, elk, mountain goat, and black bear. 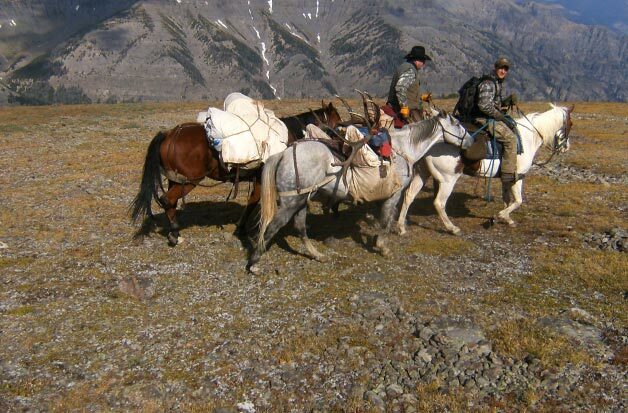 Hearty meals, horses, wall tents, and transportation are included, with a guest-to-guide ratio of 2:1. A more self and cost-efficient way to have your own Wild Man adventure. We drop you and your fellow hunters off at camp, set up your equipment, and check in on you every day. We even help dress and pack out your animals.